Are you thinking of relocating to Guatemala? 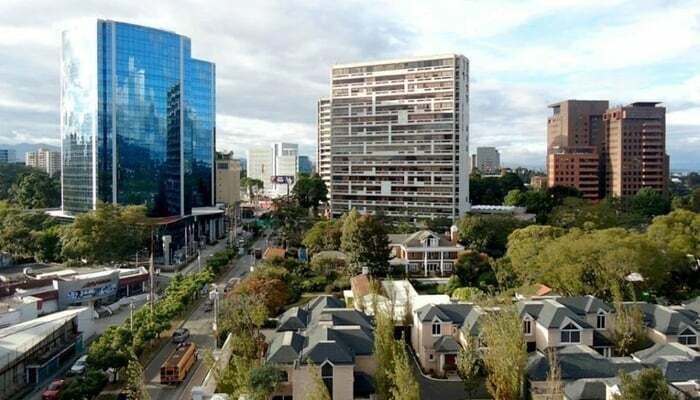 Guatemala City-based economist Nestor Quixtan advises you to learn a little about the Guatemala housing market before you arrive, not after. Whatever your reason for coming to Guatemala is, knowing the housing market is key. If you know housing markets, then Guatemala shouldn’t be too difficult. Like any housing market, it’s all about location, location, location. Guatemala has many beautiful locations. There are quaint, picturesque, country villages, colonial towns, and larger, busier, urban centers. What expats find is choosing a place to call home depends on their reasons for moving to Guatemala. Many expats move to Guatemala for their work. Where they live in Guatemala will depend on where their work is. Most likely Guatemala City. For other expats – retirees, for example – their experience starts with them falling in love with a particular location. This is true for many who move to Antigua, Flores, Quetzaltenango, Lake Atitlan, or Coban. Whatever the reason for moving to Guatemala where you want to live will determine your housing options. Guatemala has serious security issues. Most of these issues stem from the drug trade and organized crime. As a result, condos and gated communities are premium because they offer greater security. Private contractors provide security in these developments, not public law enforcement. The condo fees reflect the cost of this security and drives up the prices for these types of properties. Location also compounds prices in the Guatemala housing market. If you live in a condo in Zona 10 or 14 of Guatemala City, the price will reflect both convenience and security. If you prefer a gated community, the Carretera a El Salvador area offers small condos to large residential communities. Prices will reflect security, surroundings, and amenities. In either of the areas mentioned, prices for a 1-bedroom condo can range from US$600-$1,500 per month. A 2-bedroom may range from US$800-$2,000 per month, while a 3+ bedroom condo could be upwards of $2,500 monthly. There are places in Guatemala City with lower prices, but they won’t be in such secure areas. While there are cheaper areas, it’s worth spending a little extra on peace of mind with security. It’s important to consider another critical factor in Guatemala City: traffic. Traffic in Guatemala City can be a nightmare. While it hasn’t reached the proportions of other Latin American cities like Mexico City or Sao Paulo, it’s getting close. A typical commute from the Carretera a El Salvador area into Zona 10 can take up to 2 hours during rush hour. So it’s worth taking this account when deciding on a place in or around Guatemala City. Like Guatemala City, the same factors come into play when considering Antigua. Property prices in Antigua are like those in Guatemala City. The biggest difference between Antigua and Guatemala City is the supply of housing. Antigua is a much smaller town and has a much more limited supply of housing. While this hasn’t driven up prices too much, it may be a challenge to find a suitable place within the Antigua core. Outside of Antigua, the San Lucas area offers some nice gated communities, about 15-20 minutes outside Antigua. If you want to live in the center of Antigua, as many do because of the colonial atmosphere and convenience of walking everywhere, there’s also another factor to consider: Street noise. This is something many overlook before arriving and can turn paradise into hell if not researched correctly. 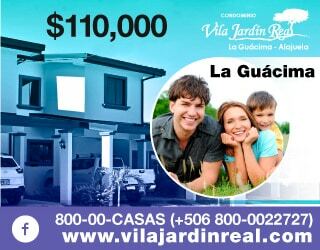 Another key factor to consider before making a choice on a home in Guatemala is living expenses. One of the biggest concerns when discussing living expenses is power. Electricity isn’t exactly cheap in Guatemala, but it’s not prohibitive either. A typical electric bill hovers around $50 per month. Beyond that, groceries, gas, and other related expenses are reasonable. Other services, such as internet, cable TV, and water may set you back around $100 per month. A good yardstick for condo fees is about $100 a month. Compared to some other countries in Central America, electricity is reliable with few major blackouts. So when planning your move to Guatemala, it pays to do your homework. You can kick things off with a simple internet search. It is also worthwhile to get in touch with other expats to get real-life experiences and feedback. By doing this, you can avoid many pitfalls of the housing market in Guatemala. A good way to connect with other expats is through the Guatemala expat Facebook groups like The Real Antigua Guatemala Classifieds and Expats Living in Guatemala. Choosing a location with inadequate security or access to amenities is a common mistake. Also, factoring in traffic is critical, especially in Guatemala City. Some simple research on the housing situation in Guatemala can save you some headaches down the road.